I haven’t done a great job at posting lately. I have so many excuses as to why not but in the end, I know that none of that matters. I thought to get back into the swing of things, I’d start back with something that’s nearest and dearest with me… Cooking with my Mama. A few months back, I spent the day in the kitchen with my mom. She graciously shared her recipes and techniques for her chicken karaageand korroke. But as much as those are the favourite things my mom makes, the “deep-frying” thing has kept me from making them on my own at home. Another favourite that I learned to make on that day, which I have since attempted to make a few times, is chawanmushi. 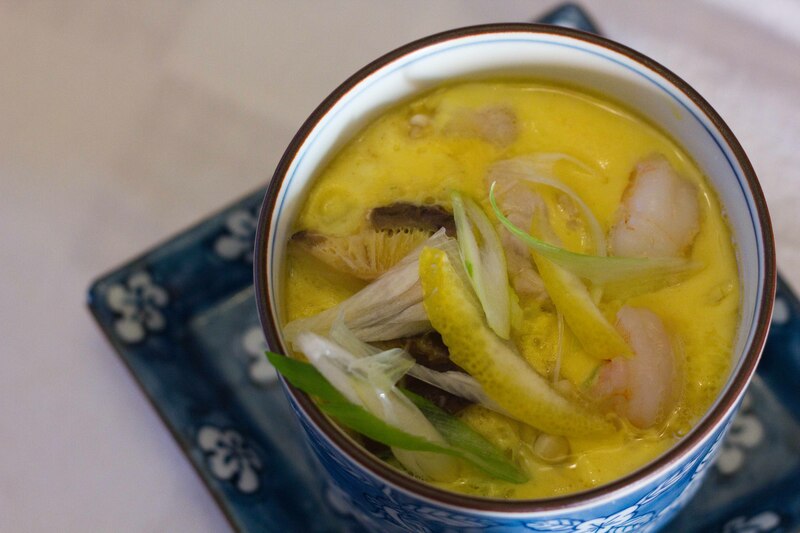 Chawanmushi is a savoury egg custard soup that I always thought of as surprise soup as a kid. It’s served in a special little cup that’s topped with a lid and when you open up the lid, it looks like a cup of pale yellow tofu with whatever floats to the top set into it, (usually the mushrooms). But then you start spooning into the goodness and the fun begins. The egg-y custard has set you can’t see what lies beneath, so it’s fun to see what you’ll discover with each subsequent spoonful. 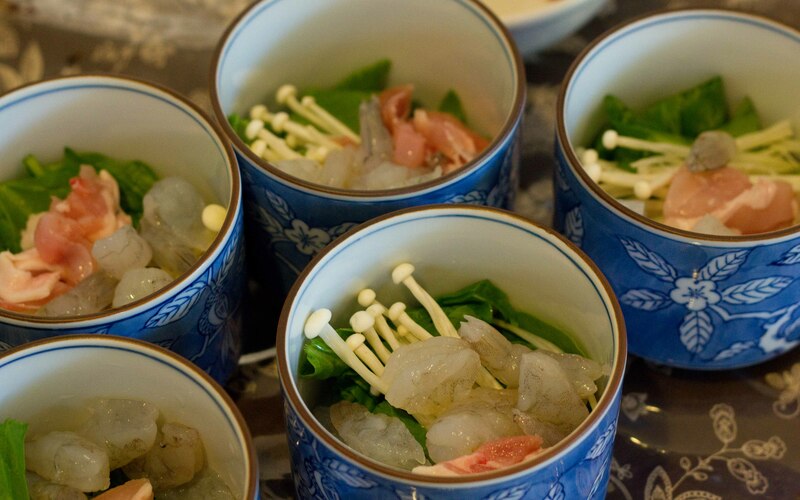 With my mom’s chawanmushi, you’ll find pieces of prawn, chicken, spinach, shiitake and enoki mushrooms. In Japan, the treasure at the bottom is always a ginkgo nut. I love the ginkgo nut, but since I’ve only seen the canned version in Vancouver, it’s not something my mom ever adds. As a child, chawanmushi was one of the first things I remember helping my mom make. I loved the assembly line aspect of putting all of the ingredients into the cups and I also became really good at seasoning the egg-base properly just by taste. It took me back, to be in the kitchen with my mom to recreate it, this time with measurements. The bowls are lined up and the treasures are added. Each ingredient is carefully included so that no one can claim they got more of something than someone else. The egg base is whisked and seasoned and added to the bowls. 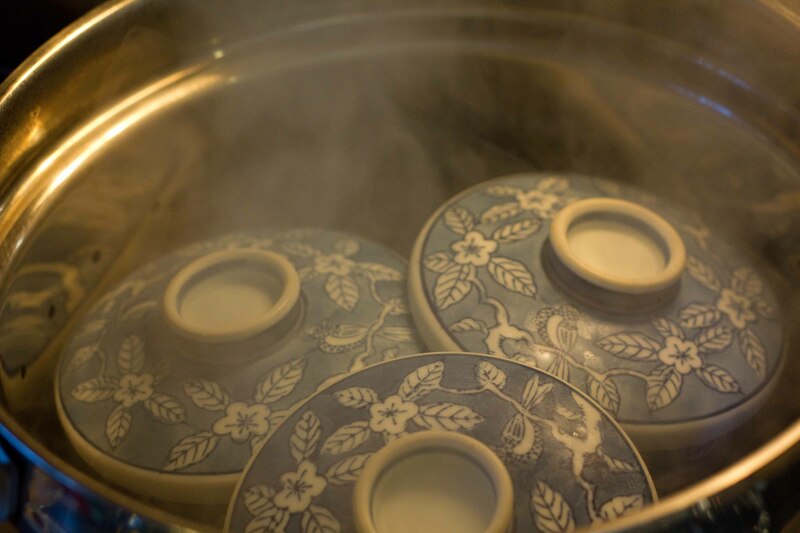 Lids are placed onto the bowl and then they’re carefully placed in a steamer. The precise steaming time is what’s been my downfall when I’ve tried to make this on my own. Set and ready to eat, delicious surprise chawanmushi! Beat eggs and whisk in water, careful not to add too much air into the mixture, (this causes air bubbles in the final product). Add seasoning to the egg mixture. Fill cups with the fillings, careful to evenly distribute the ingredients amongst each cup. 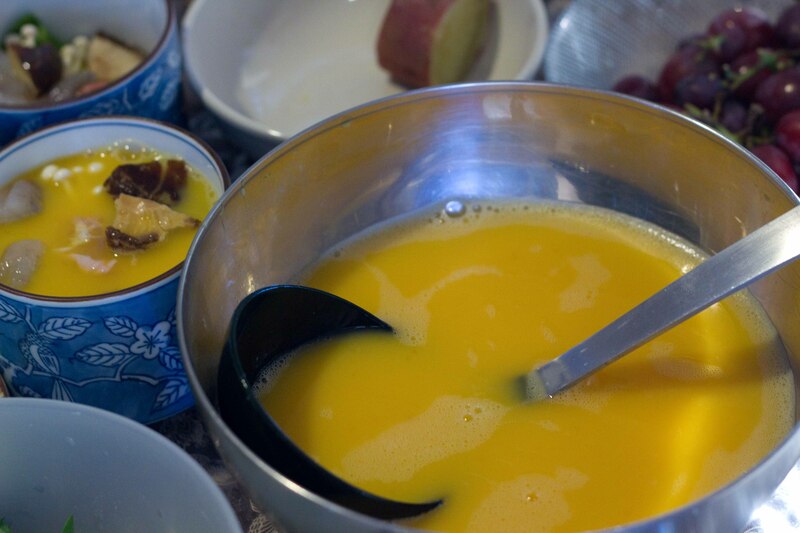 Fill egg mixture to top of cup and cover with the lid. Put the cups into the steamer on high for 3 minutes and then turn the heat to medium-low for 16 minutes. At last few minutes, add 2 slices of lemon rind and few slices of green onion to the top. Good post! Nice to see you back! hello, can I using the picture of your chawanmushi for the design of our mangazine? Thanks for asking. If you could email me at foodlover@shaw.ca with more info that would be greatly appreciated!